Now this is an issue I seem to have for quite some time now with 2.8. When I render something with Eevee, Blender 2.8 will randomly close after a couple of frames and sometimes after a couple of hundreds of frames. It does not crash on startup, it does not crash randomly while just using blender and the viewport, just at rendering. This is what the console spits out last. As I said this issue has been happening for quite some time, which in turn means this is likely not related to the latest build. I did however test it and it happens in the latest build as seen above. What this also means is that this error happened over the past driver versions. 419.35 is the latest from nVidia and this has happened on past versions as well. Driver was updated not so long ago, I think 2 weeks ago. Edit: A full reinstall with DDU was also done. And since I also recently got a new GPU, this happened on my former GTX 750 Ti and my current GTX 1080. I also tried a couple of things, like running with -d or --debug-gpu, the latter actually gave it more time before it crashed which brings me to a few observations. Main observation is that the duration it renders, while still being somewhat random, depends on what else is showing in the Blender interface. I get the faster crashes when I have a 3d viewport open and the image editor, I get the most render time before it crashes if I replace those two with just text editor for example. Changing those windows while its rendering often causes a crash on changing them. That said, even after changing those two to text editors it still caused the crashed after some time. Another observation is that the crash also likes to mess with running YouTube videos, where YT just stops playing them and goes into endless loading. The issue happens in pretty much every scene, so providing a blend file seems not needed. Steps to "recreate" would simply make any scene, cube + camera for example and render as animation with Eevee. Although I think it might be system specific and thus not easily reproducible. Does this happen with cycles or just eevee? I can confirm that this also happens in Blender 2.8 with Cycles. 2.79 seems stable with GPU rendering from a test I'm currently running which already went through 800 frames in the past 8:30min. can you run blender_debug_gpu.cmd in the blender folder, reproduce the issue and attach the files it produces? Here is the Log with Cycles in 2.8. Quite big because it did render a bunch. Here is the Eeevee one. Do you get crashes if you render without gui (the -b flag)? I always forget how much faster that is, even on windows. (Save time and render time were a lot quicker. Kinda lines up with my observation that playing with the UI while rendering can cause a quicker crash. Does it crash with GUI if you force software rendering? 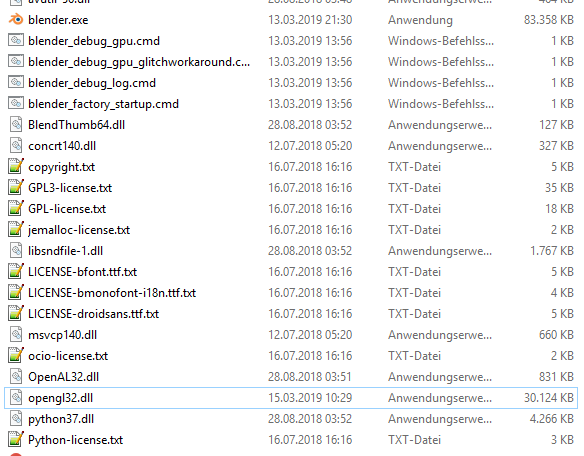 Download this dll and copying it so its located in the same directory as 'blender.exe' and run Blender normally. It will be slower but I just want to check if it crashes the same way. Can confirm that the GUI was slower, like the camera was slower. The rendering times per frame seemed to be on par with before though in Eevee. It crashed after 30 frames in my first test. Just to provide additional info, I made a quick recording of a test, this is still with the .dll file inside, which is why its a bit slow. Does it crash if you use the default settings? You seem to run with some non standard things. I already reset the usersettings (basically deleting the 2.80 folder in appdata, besides the two addons), in terms of non-standard things there would only be Animation Nodes addon and my small little render button addon. I did once test removing the my own addon and nothing changed. Don't think that can cause anything but I will admit its a hack copy/paste job from 2.79 over to 2.80 and I have little clue about python really. I will however do a test with all removed and all settings reset again. Not sure if any of those two addons could actually cause this issue, although I know this might not be the place for support regarding those addons, well one being my hackjob. Okay, I think we can eliminate those two addons. 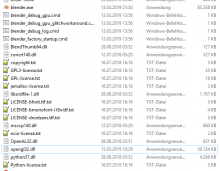 I fully deleted the AppData\Roaming\Blender Foundation\Blender\2.80 folder to reset all user settings, addons and startup file. On startup I did not let it load 2.79 settings. I just hit save settings how it is by default on the first screen. Very simple one, just a sky background, 1 sample, enabled Ambient Occlusion and set a render output. I split the main view to open a image editor window. Everything else should be default from the default scene. And then I just let it render the animation, crash after 1388 frames here. In case the debug logs are useful again, those are from running the blender_debug_gpu.cmd again but with the complete reset Blender and the test scene from the last comment. Seems like it doesn't even show the error, in some of the crashes I recorded the error also did not show up at the end, not sure if it just crashes faster then it can log, or how that works.